Note Folding has Become a Lost Art! Way back before there were cell phones, there were pagers. Way back before there were pagers, there were handwritten notes! The creative folding of notes has become a lost art. 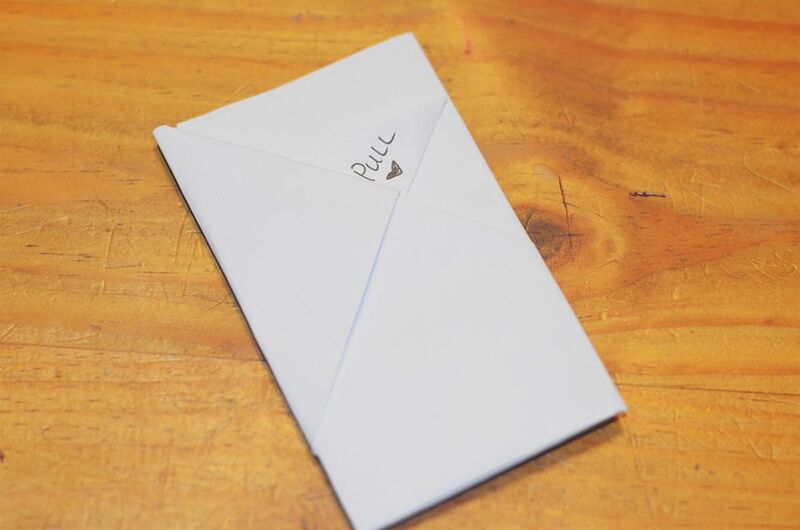 Teach your children how to fold notes and spark a desire to write letters and notes to friends and family. All that you need for this activity is a blank sheet of 8.5 x 11-inch piece of paper. You can use copy paper or notebook paper for this as well. The first fold that needs to be made is to take one corner and fold it over to the other side of the page diagonally. If your paper was a square instead of a rectangle, this would be a diagonal fold through the center. Since we are using a rectangle though, it will not meet at the bottom corner. The second fold will be from the same side you started with the last fold. Take that straight edge and fold it over to line up with the straight edge on the other side. Now turn the paper over, so the folds are facing down. Take the bottom edge and fold upwards about half way. The fourth fold is the same as the third, match the fold by folding upwards again. Now, take the triangle piece at the top and fold it down over the front. Tuck this flap partially into the fold on the front. Leave the pointed part out as a pull flap for opening the note. Write pull on the tab and you are all finished! Now you can unfold and write a secret message or draw a picture and refold. Write a "to" and "from" on the outside and pass it to a friend! Be sure to ask them to write you back!